What are my Canadian Immigration Options? 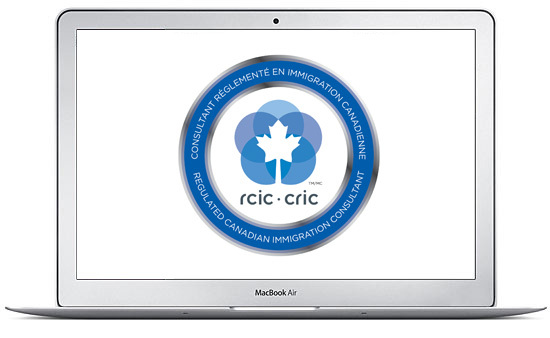 I am ICCRC regulated and authorised in Canada, so your case is safe and secure, and i can legally represent you before the Canadian Government for your Visas and Permits. I’m based in the UK and open 7 days a week. You speak directly with an expert consultant, NOT an unqualified agent. My service includes FREE extensive relocation and settlement information, advice and contacts. I will ensure that you receive a quality, professional service right from your first contact with me; we will explore possible immigration avenues to ensure your move to Canada is fast, effective and straightforward. You and your case are dealt with directly by a regulated and qualified consultant, not with an agent, as is the case with most migration companies in the UK. If you are serious about moving and would like a detailed analysis of your eligibility and potential Immigration route, take my free assessment and book a personal consultation where I’ll evaluate your Immigration potential, go through all your options, and build a ‘road map’ to get you to Canada. We’ll discuss your case and I’ll provide you with Express Entry and Federal Skilled Worker points, explain how the system really works and how i can get you to Canada through the most effective means. As well as representing you to obtain your visas, I also provide a completely free relocation advisory service to you that makes moving to Canada a streamlined and enjoyable experience. For many families, an application for Permanent Residency from outside of Canada may be the best solution, especially if this can be achieved within a few months. However it can be difficult to keep an application focused with a busy modern lifestyle – many applications can fizzle out along the way. Canadian Immigration can be a complex and confusing system. Let me take the stress and uncertainty out of moving to Canada – I’m here to help you succeed. Eager to get going? I offer an ‘Easy Start’ option to get your process for Permanent Residency going straight away. For an initial, no obligation low deposit, you get full legal Immigration representation. We’ll get going from day 1, to ensure you get your profile up on Express Entry as soon as possible. Please phone for details. When I commenced my application for the permanent residence of Canada with Canadian Immigration Solutions the level of professionalism and organisation of Mike and his team was excellent. I felt very confident that Mike would process the paperwork and keep me informed when there was an update on my application for express entry. I was able to contact Mike very easily and I would always get a response via email or a call back if I had a query, this made me feel very confident. I was delighted to obtain my permanent residency for Canada in a relatively short time scale. I would like to highly recommend Mike to others of Canada Immigration Solutions, for those who are looking for an easy streamlined application experience to obtain permanent residency of Canada. Following a long-standing dream to move to Canada, I made contact with Mike Wilson after researching online for immigration agents. I contacted a number of agents, spoke with all of them and ultimately decided to use Mike and Canada Immigration Solutions. 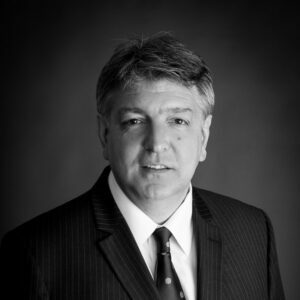 From the first Skype meeting Mike was personable, approachable and clearly very knowledgeable. Throughout the process he was extremely helpful, honest and took care of each step, allowing me to remain informed and worry free with regards to what I had to do next. He rarely took more than 24 hours to respond to email contact which included weekends, something that was noticed and appreciated. I can highly recommend Mike and his staff (in particular Amy Mcleish who also helped me along the way) and have already done so to a colleague who is looking to move to Canada with his family in the near future. Mike and his team provided expert advice and services throughout our visa application for Canada. He was on hand to answer any questions quickly and efficiently throughout the process and handled everything for us regarding our application. We are now residing in Canada and are hoping to work towards permanent residency, which we will certainly be using Mike’s services for in the future. I cannot speak more highly of Canada Immigration Solutions. We had a dream of living in Canada and with Mike’s help, it turned into reality. He is extremely knowledgeable, professional and very helpful and compassionate person. He had lived in Canada for few years and knows his stuff first hand. He looked after us from the moment the seed of immigrating started sprouting, and this has not ended. Almost one year of being here, he still willingly gives us help and advice that we need. We would not have anyone else handling our immigration matters and would not hesitate to recommend very highly. Mike and the CIS team have provided invaluable support throughout the process of my application for permanent residency in Canada. I was working to a particularly tight schedule in getting my visa approved, and Mike’s patience, professional expertise and almost round-the-clock availability to discuss my application have made the process as smooth as I could have wished for, giving peace of mind and clarity during a stressful emigration process. Mike has provided a genuine advice and made our application process for permanent residency straight forward. He was always available to answer all the questions even during his holiday. With his excellent knowledge and professional experience Mike has made our dream come true. I thought I would write on behalf of my Family and I to say a BIG THANK YOU for steering us through the immigration process for Canada. We couldn’t have done it without you. Thank you for your professionalism and patience, when we had lots of questions, that needed answered. You are a true professional and we wouldn’t hesitate to recommend you and your company to anyone. I am looking forward to sending you more clients in the near future. Canada Immigration Solutions’ application success rate. Target for new Economic immigrants to Canada over the next three years.